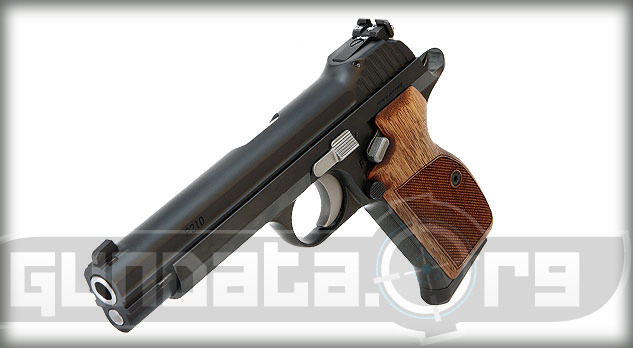 The Sig Sauer P210 Legend Target is a reproduction of the classic model that was originally designed in 1947, then used by the Swiss Army and Police force starting in 1949. 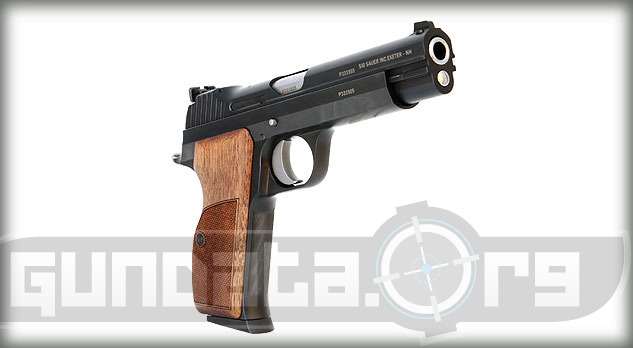 The P210 Legend Target has an overall length of 8.5-inches, and a barrel length of 4.7-inches. The frame and slide are carbon steel with a nitron finish. It has an updated manual safety, along with an internal drop safety to prevent accidental discharge if the pistol is dropped accidentally. 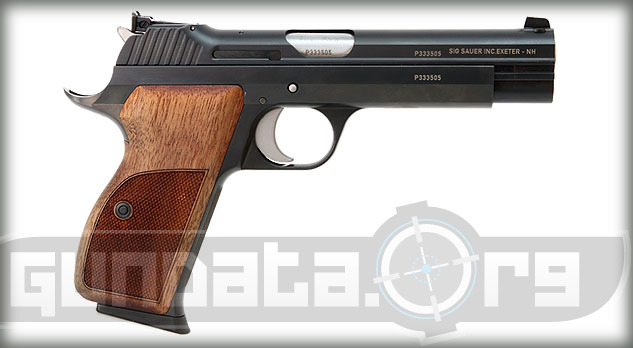 The P210 Legend Target holds an 8-round magazine of 9mm ammunition, and has a magazine release button on the side. 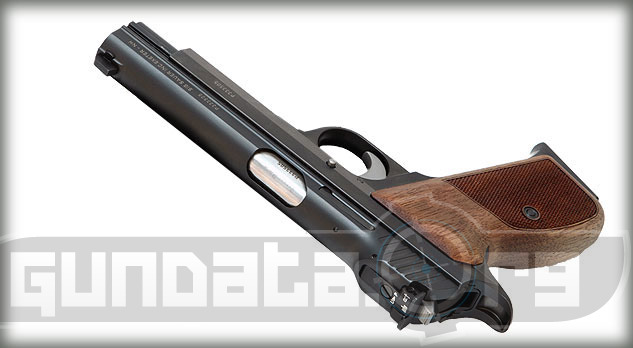 The front sight is a fixed post, and the rear sight is an adjustable U-Notch. The grips are custom wood with checkered sides for improved grip while firing. The slide has serrations at the rear to help load rounds into the chamber easier, and it has a SAO trigger pull of 4-pounds.